If you missed the awesome storage deals during Black Friday, today’s deal comes close to those crazy low prices. 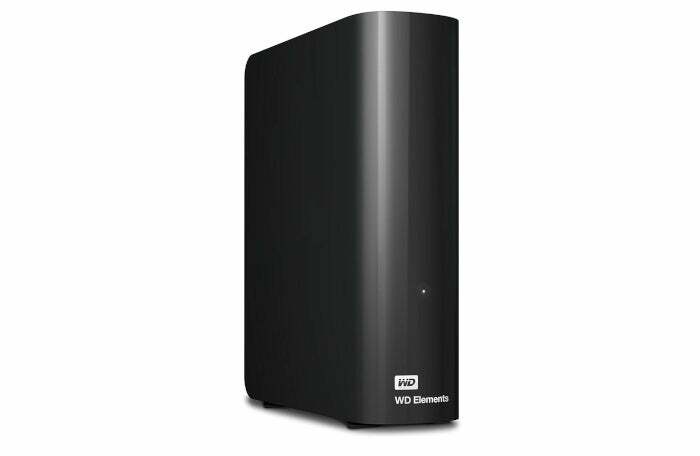 Amazon is selling the WD 10TB Elements external desktop hard drive for $200. Yes, you read that right—10 terabytes. This deal doesn't quite match the drive's $180 low around Cyber Monday, but it’s still far below this drive’s usual $280 to $300 sticker price. This is a desktop hard drive, meaning it requires its own power source, and it's not meant to be portable. It supports USB 3.0 (Type A) for data transfer. WD says this also doesn’t come with all the extra software you get with the company’s MyBook line, such as password protection, hardware encryption, Dropbox, and social/cloud imports. You don't really need that extra stuff for simple backup though. With this 10TB WD Elements drive all you get is a plain old external hard drive and nothing else—or as I like to call it, the perfect external hard drive. It’s a huge amount of storage with enough room for about 2,000 1080p movies (compressed) at about 5GB a pop. Buy this and you won't need to delete anything to save some space for a long, long time.